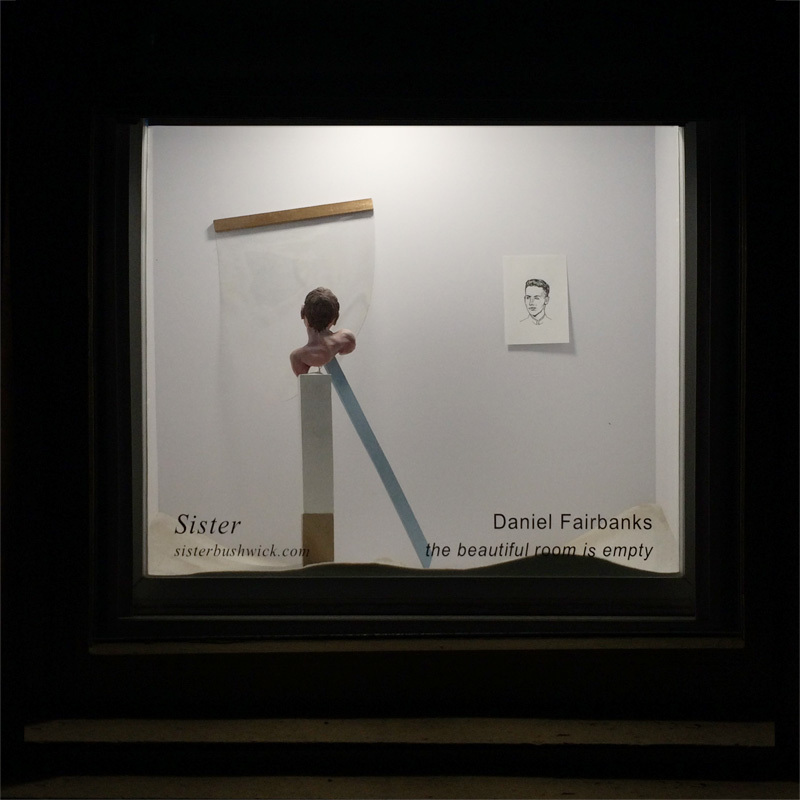 Sister is pleased to present Daniel Fairbanks "the beautiful room is empty". The title of the show is a reference to the coming of age novel by Edmund White which chronicles the coming-out experience of a man during the hegemony of the 1950s. This concept of an empty beautiful room which can never be fully experienced was itself a reference to a letter that Franz Kafka wrote to his secret lover whose relationship was only ever fulfilled via correspondence. 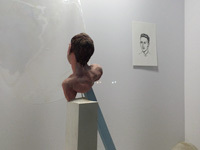 In Daniel's installation the male form is objectified in the form of "classical sculpture"; uplifted by the white pedestal while being simultaneously punctured and supported by a shaft of baby-blue; the banal color of boyhood. 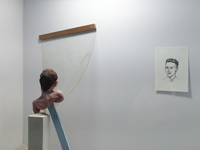 Tethered to him is a ghostly male portrait delicately etched into a sail like plastic curtain. 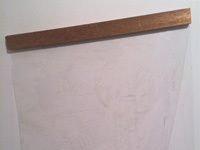 To the right hangs another portrait of an anonymous young man which is taken from a 1930's military academy yearbook. The scene is set in a psychological dune-scape evoking the liminal stage of consciousness where identities flit in and out of reification. The other is hinted at yet never fully described here, perhaps held at bay by standards of masculinity or maybe never to be fully imagined.